Greenhouses are a an immersive experience. Just by entering a door you end up in another climate with another vegetation. All of this is of course all human made and some would say unnatural or even fake. 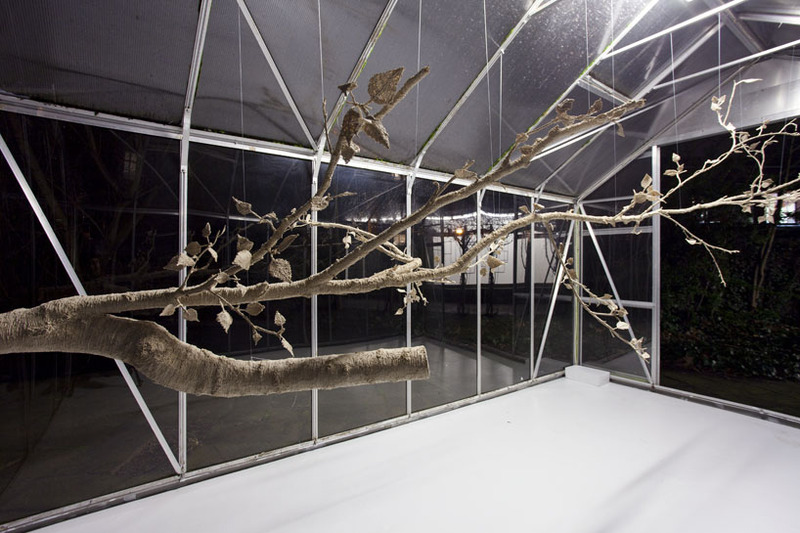 Created for whom lives in colder regions to enjoy tropical plants and flowers once in a while. 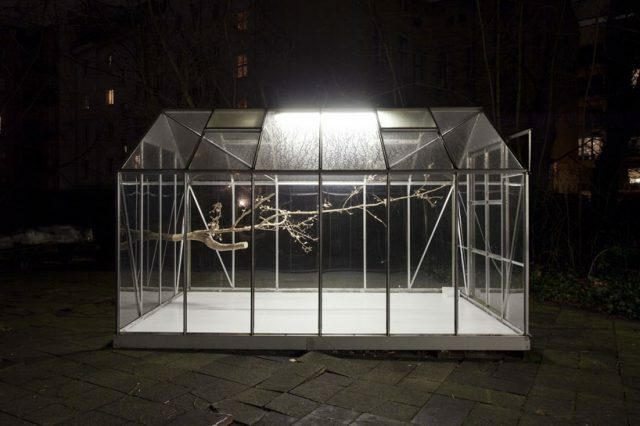 Taking the idea of recreating a fake-vegetation young artist Martin Binder reinterpreted a small green house hidden inside a beautiful courtyard of Prenzlauer Berg. 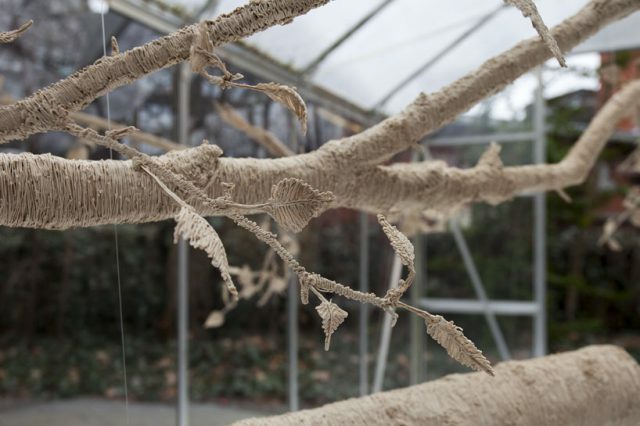 His Portrait of A Birch Tree is a unique sculpture imitating natural forms and shapes. 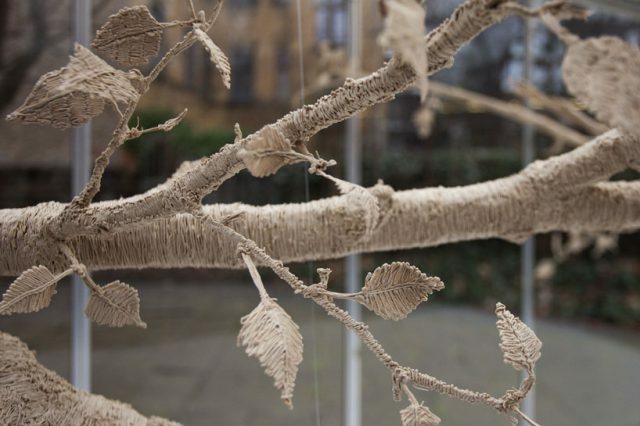 Binder who studied in Berlin and Finnland was always fascinated by the purity and singular structure of birch trees. By recreating their innocence he is not only questioning our senses but maybe the whole concept of what is actually real in a world of post.truth and virtual entertainment. The exhibitions is open until the 15th of March 2018.